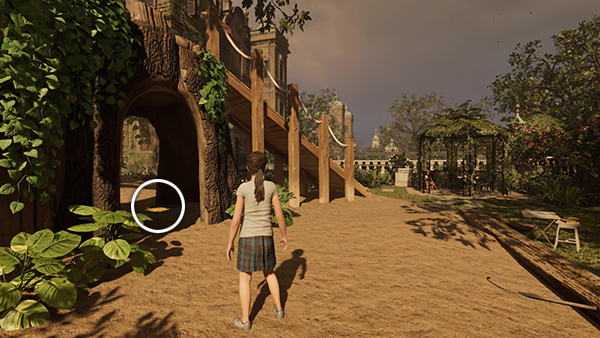 NOTE: As far as I know, you can't revisit this area after completing it (unless you replay the game), and the collectibles and challenges here do not count toward 100% completion. 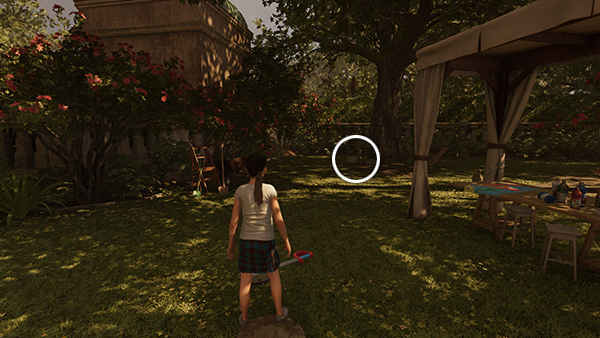 WHITE QUEEN PUZZLE: As you enter the "Forbidden Tomb," you receive a new objective and Lara's drawing, Enigmatic Clues, is automatically added to the Artifacts section of your inventory. 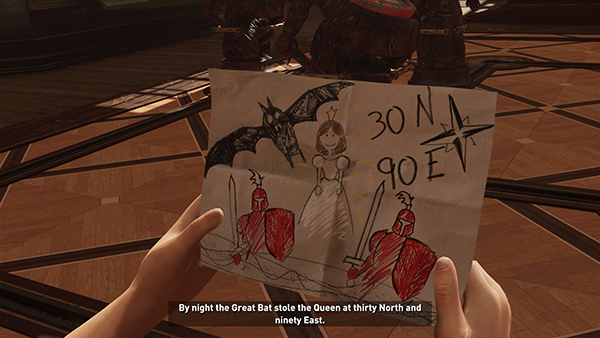 (screenshot) Lara reads, "By night the Great Bat stole the Queen at thirty North and ninety East. From her pen she wrote her heart. With light, unlock her love's release." NOTE: Kelly from Tomb Raider Horizons (formerly Tomb Raider Horizons) pointed out that these coordinates lie roughly 100 km west-northwest of Lhasa, Tibet. So perhaps this is where Lara's mother, Amelia, died. Go through the doorway into Amelia's atelier. Entering the room triggers a cutscene in which Lara examines some of her mother's things and remembers old times, both happy and sad. 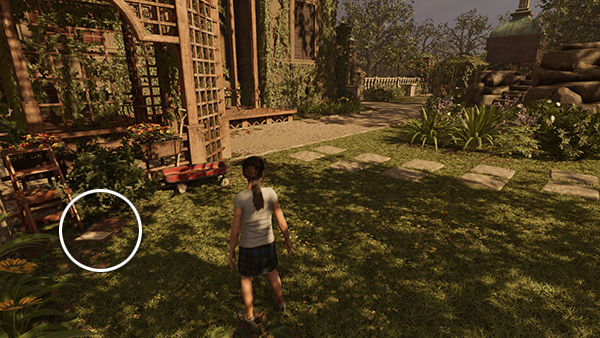 When the flasback-within-a-flashback ends, young Lara goes looking for her father, only to discover a terrifying scene, which will be all too familiar to anyone who played Rise of the Tomb Raider. Grown-up Lara then awakes from the nightmare back at the campsite in Peru.